With temperatures plummeting into the negatives, what better way to warm up then the Scrappers Hot Stove Banquet. With less than a month to go, the Scrappers Scoop has all the details to get you ready for the event of the season. As mentioned in the previous blog entry, the Scrappers are inviting fans to Ciminero’s Banquet Center on January 30, 2014 from 6-8 PM for a dinner and a meet and greet with some of the top prospects in the Indians’ organization. Tickets are $35 for adults and $25 for children ages twelve and under. Fans will enjoy dinner, remarks from a member of the Indians’ player development staff, and a silent auction benefiting the M.V.P.B.A. Scrappers Backers. Following dinner, fans can take part in a question and answer session with the prospects as well as get autographs. The Hot Stove Banquet is not only a way for you to support the Scrappers and the rich history of baseball talent the team has showcased in the valley, but also a way to interact with players the Indians have highlighted as their stars of tomorrow. Sixty-four Major League players have roots in Mahoning Valley, and these seven young prospects could be the next to hit it big. The Hot Stove Banquet is your chance to get their autographs, take a picture, learn what skills they hope to develop, and ask any question you would like before these players debut in the Major Leagues. 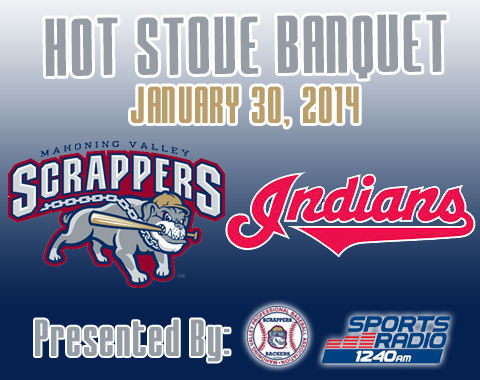 Still undecided on whether or to get a ticket for the Scrappers Hot Stove Banquet? As part of the 2014 promotions schedule, one of the top prospects attending the event will have their very own Bobblehead given out at Eastwood Field this upcoming summer. We will be announcing the bobblehead at the Hot Stove, and also giving everyone in attendance a ticket voucher to attend the bobblehead giveaway night. Now let me introduce you to the All-Star line up of prospects we’ve got slated to attend the event! Born October 11, 1991 in Cartagena, Columbia Urshela signed with the Cleveland Indians as a Non-Drafted Free Agent on July 2, 2008. He spent his first few season in the Dominican Summer League and the Arizona Rookie League before joining the Scrappers in 2010. With the Scrappers, Urshela ranked third on the team for batting average ( .290), second on the team for hits (64), first on the team for RBI (35) and third on the team for total bases (81). He played the 2011 season with Class A Lake County and the 2012 season with Class A Advanced Carolina. After being named the Best Infield Arm in the Indians Organization by Baseball America in 2012, Urshela played the 2013 season in Class AA Akron. Jesus Aguilar has been one of the hottest hitters rising up through the Indians farm system. Born June 30, 1990 in Maracan, Venezula, Aguilar signed with the Cleveland Indians as a Non-Draft Free Agent on November 13, 2007. After two seasons in the Dominican Summer League and Arizona Rookie League Aguilar joined the 2010 Mahoning Valley Scrappers. Aguilar hit .244 with 30 hits, 17 RBI, 8 runs, 9 doubles, 2 homeruns and 2 stolen bases for the Scrappers. 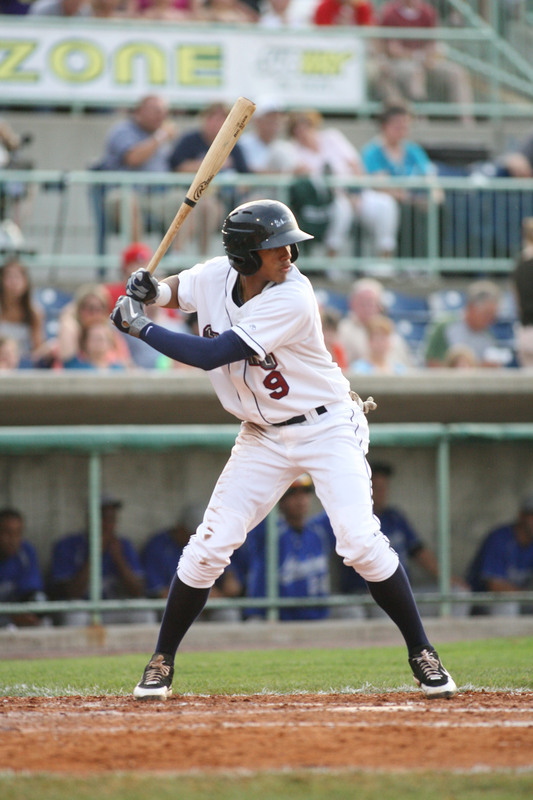 During the 2011 season, Aguilar spent time in both Class A Lake County and Class A Advanced Carolina and lead all of the Indians’ organization in RBI (82), placed second in home runs (23) and third in hits (131). He was named a 2011 and 2013 Indians’ Organization All-Star by Milb.com. He was rated the Best Power Hitter in the Indians’ Organization by Baseball America in 2012 and was a member of the All-Star Futures team that same year. Aguilar spent 2013 with Class AA Akron and again was an offensive leader. He recorded the most RBI (105), had the second most homeruns (16) and had the third most hits (137) in the Indians’ Organization. Following the 2013, season Aguilar was named a Post-Season Eastern League All-Star, was named the 17th ranked Indians’ prospect by MLB.com, and is currently listed on the Indians 40 man roster. One of the speediest prospects in the Indians’ system Bryson Myles was born September 18, 1989 in Grand Prairie, Texas. Originally recruited by Texas Christian University as a linebacker Myles chose to play baseball and was signed out of Stephen F. Austin University in the 6th round of the 2011 Major League Baseball First Year Player Amateur Draft. He began his professional baseball career as a Scrapper and saw great success in Mahoning Valley. Myles was a 2011 New York-Penn League All-Star and had the fifth highest batting average in the league (.302) upon the conclusion of the season. 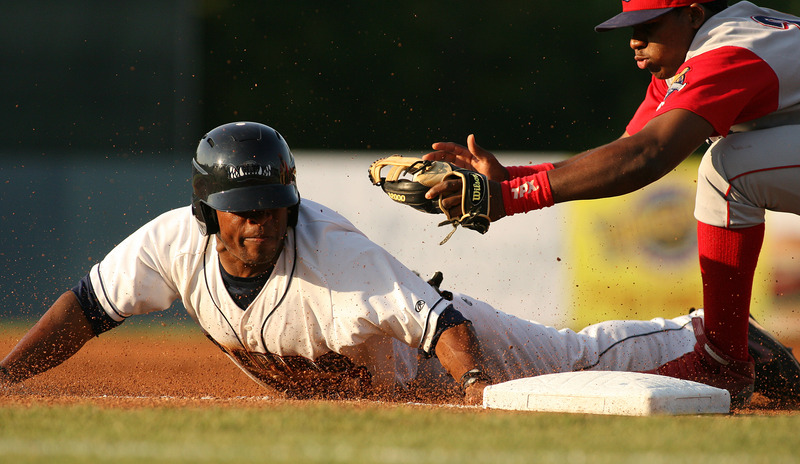 He lead the 2011 Scrappers squad in stolen bases (20), and placed third on the team for triples (3), on base percentage (.394) and slugging percentage (.401). He played the 2012 season for Class A Lake County and most recently played for the Class A Advanced Carolina Mudcats in 2013. As a Mudcat Myles hit .285 and ranked second on the team for slugging percentage (.427), third for stolen bases (15), third for homeruns (8) and fourth for RBI (52). The outfielder was named a 2013 Indians Organization All-Star by MiLB.com. Erik Gonzalez was born on August 31, 1991 in Puerto Plata, Dominican Republic. He signed as a Non-Drafted Free Agent just five days shy of his seventeenth birthday on August 26, 2008. 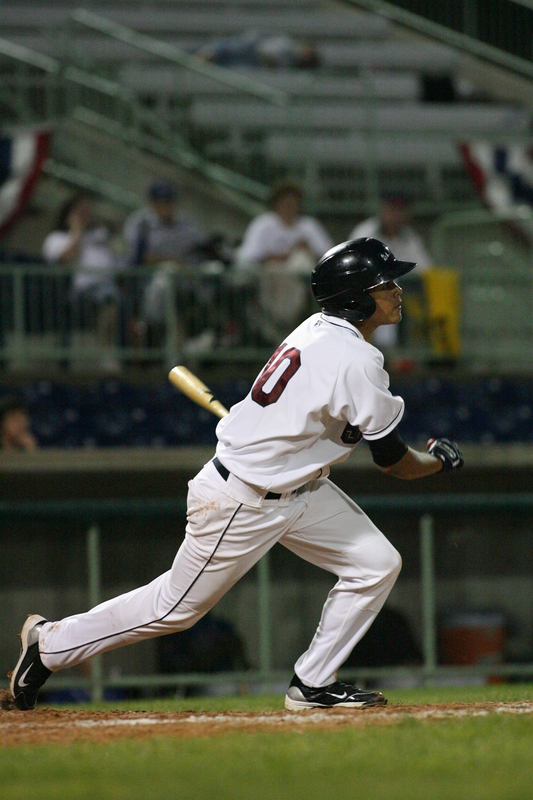 After spending the 2009, 2010 and 2011 seasons in the Dominican Summer League and the Arizona Rookie League Gonzalez joined the 2012 Scrappers team. In Mahoning Valley, Gonzalez hit .220 with 47 hits, 30 runs, 9 doubles, 1 triple and a homerun. In addition, Gonzalez lead the 2012 team with 9 stolen bases. He spent the 2013 season in Class A Lake County and Class A Advanced Carolina. Gonzalez is currently listed on the Cleveland Indians 40 man roster. Another member of the 2012 Scrappers team, Tyler Naquin was born April 26, 1991 in Spring, Texas. After a standout career at Texas A&M, the centerfielder was drafted in the 1st round (15th overall) of the 2012 Major League Baseball First Year Player Draft. Naquin was ranked the third best prospect and the Best Outfield Arm by Baseball America following his 2012 season with the Scrappers. He spent the 2013 season in Class A Advanced Carolina and Class AA Akron. 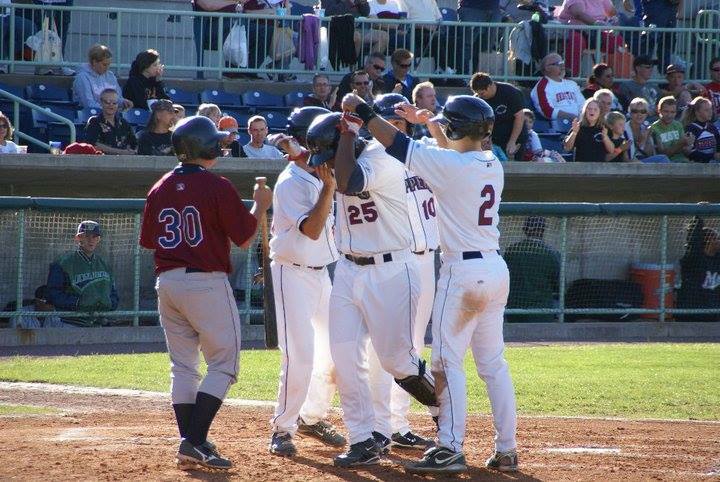 At the conclusion of the 2013 season, Naquin had the second most hits (124), third most runs (69), third most doubles (27), second most homeruns (9), third highest slugging percentage (.424) and third most total bases (190) for the Carolina Mudcats. He was a 2013 Carolina League All-Star, 2013 Arizona Fall League All-Star, a member of the 2013 Arizona Fall League Top Prospects team and is currently ranked the 5th Top Prospect in the Indians organization by MLB.com. 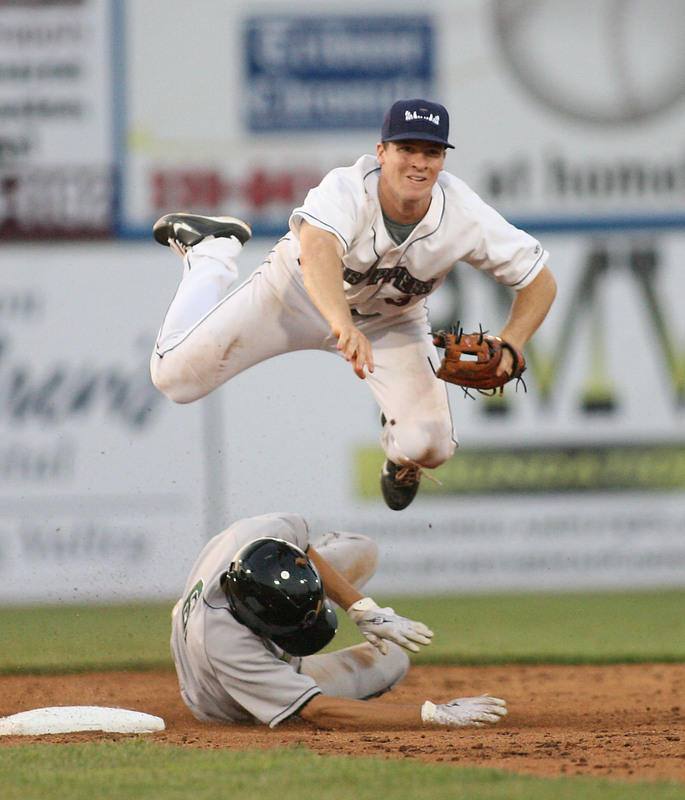 The third member of the Scrappers 2012 team expected to attend the Hot Stove is infielder Joey Wendle. Wendle was born April 26, 1990 in Lincoln University, Pennsylvania. He was drafted in the 6th round of the 2012 Major League Baseball First Year Player Draft out of West Chester University and had his professional debut here in Mahoning Valley. Wendle had a standout year in 2012 hitting .327 and leading the Scrappers in hits (80), runs scored (32), RBI (37), doubles (15), triples (4) and total bases (115). He was also named a 2012 New York-Penn League All-Star. Wendle played the 2013 season for Class A Advanced Carolina and ranked second in the Carolina League for slugging percentage (.513) and extra base hits (53). He was named a 2013 Carolina League All-Star and a Post-Season All-Star. 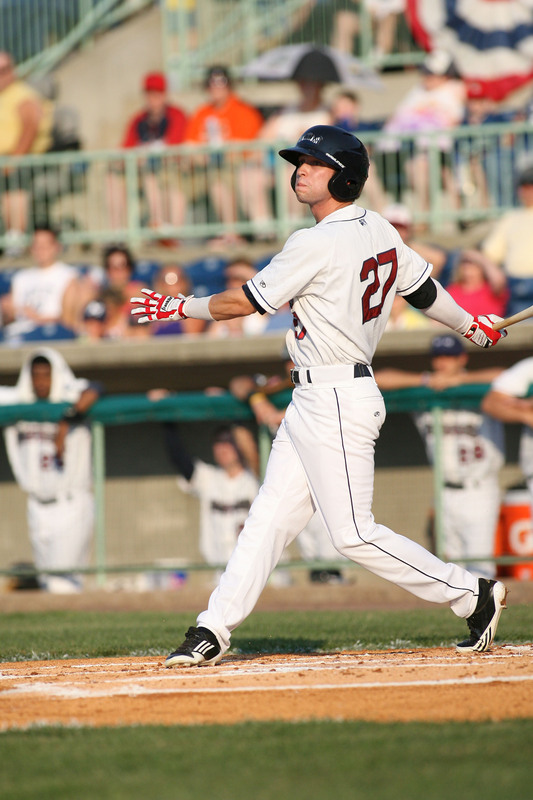 In addition to being named a 2013 Indians Organization All-Star by MiLB.com, Wendle was honored as the 2013 Lou Bourdreau Award recipient, which is given to the Indians Minor League Player of the Year. Rounding out the list of Top Prospects expected to attend the Hot Stove Banquet is left handed pitcher Kyle Crockett. Crockett was born December 15, 1991 in Newport News, Virginia. After an extremely successful collegiate career at the University of Virginia, Crockett was selected in the 4th round of the 2013 Major League Baseball First Year Player Draft. He began his professional career as a Scrapper and also played for Class A Lake County. After finishing the 2013 season in Class AA Akron, Crockett is now currently listed as the 15th best prospect in the Indians Organization by MiLB.com. For more information on the Hot Stove Banquet or to order tickets call the front office at (330) 505-0000 or go to www.mvscrappers.com.